Photography as much as creativity has no limits. This idea was well proven by Australian documentary photographer Mark Tipple, who took photography to the next level. He takes pictures underwater and beneath the waves where some of the most amazing sights are waiting to be captured. Mark Tipple has been taking rare moments with his camera for three years now focusing on the faces of nature and aiming to create social change by working closely with various organizations in Australia and surrounding countries. One of his most applauded and inspiring works called “The Underwater Project” has taken underwater photography to a more distinct and emotionally driven creative discipline. The project is an on-going reportage highlighting Australia’s relationship to the oceans around it. Mark aims to connect the different areas of his work to bring light to stories that traditional media shies away from. You The Designer is very fortunate to ask some questions to Mark to give us some interesting background notes about the project. Check out the short interview below together with few of his breathtaking photographs in the project. 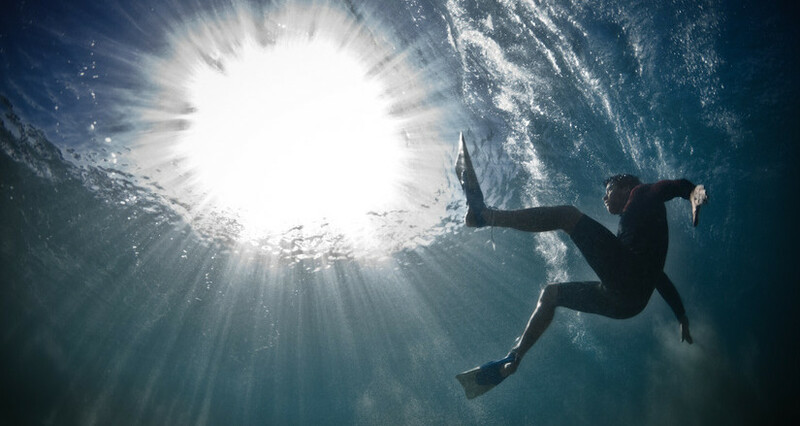 YTD: Of all possible subjects, why underwater photography? MARK: I’ve always been around the ocean, to an extent that if I’m inland for more than a day I start to get a weird nervous tick in my shoulder, not sure why but it seems to go away when I’m back on the coast. I used to make surfing movies back in the early 2000’s, but in all honesty they weren’t very good, so I stopped chasing that market, and about a decade later I thought to take a camera into the ocean again and see if I could find a different approach to surf photography. YTD: Who or what inspired you to push through this project? MARK: In my other documentary work I try to force the camera to lose it’s presence when I’m photographing people – a variety of approaches work but it’s all to the end goal of being able to photograph people without them feeling scared or self-conscious of how they’re going to look on camera. From the first few photos I made underwater the presence of the camera wasn’t a hindrance at all, as most people are trying to escape the wave crashing above and weren’t too concerned about the camera. This interested me, and kept me going. YTD: Can you share us your creative process? What are your tools and equipment? MARK: I shoot with a basic Canon Dslr, I used to use the 7D but have switched to the 5D Mk 2 & 3, and it’s housed in an Aquatech underwater housing. I either use the Tokina 10-17mm fisheye or the Canon 16-35, depending on what the shoot is. I use Churchill swim fins as well, to give me more speed underwater. I keep a low profile when I’m in the water, usually due to the onset of hypothermia (I get cold really quickly), but I dive underwater fairly early and get into position for where the swimmer will be diving through, and just as the wave starts to break I hold the button down and use the motor drive to capture what happens as the white water crashes around. YTD: The photographs are simply breathtaking! Any personal favorites? MARK: I love the ones that I’ve been pounded on as well as the swimmers. There was one that we made in the remote South Australian ocean where both myself and my friend ended up being smashed to shore by waves that were twice the size we thought they were. Entitled ‘Deep’, it shows my friend stretching out to make it under the wave, we weren’t so luck on the next one. ‘Deep’ and the first photo called ‘Escape’ would be my favourites, as they’re both a step forward in the series. YTD: Future plans you would like to share for this on going series? MARK: I’ve been working on a number of short films to accompany the photo series, basically about people who do cool things with the ocean. So far I’ve followed two surfers as they search for new waves, a family of professional surfers and surfboard shapers, and a social entrepreneur who does yoga on the beach before working with an African community, I love hearing how the ocean inspires or influences people’s lives. I don’t have any real message through both the photo or film series, but if either/or speak to people about how the ocean is part of all of us then I’d be stoked to play a part in it’s preservation. YTD: Thank you Mark for spending some time with us. Anyone you would like to be thankful for? MARK: My friends and family foremost, especially those I’ve asked to swim for me in the middle of winter. After three years of shooting the series I’m still stoked when a print sale comes through or a simple email of support, I could never have thought that a simple series of people swimming under waves could have such a huge reception. I’m stoked! 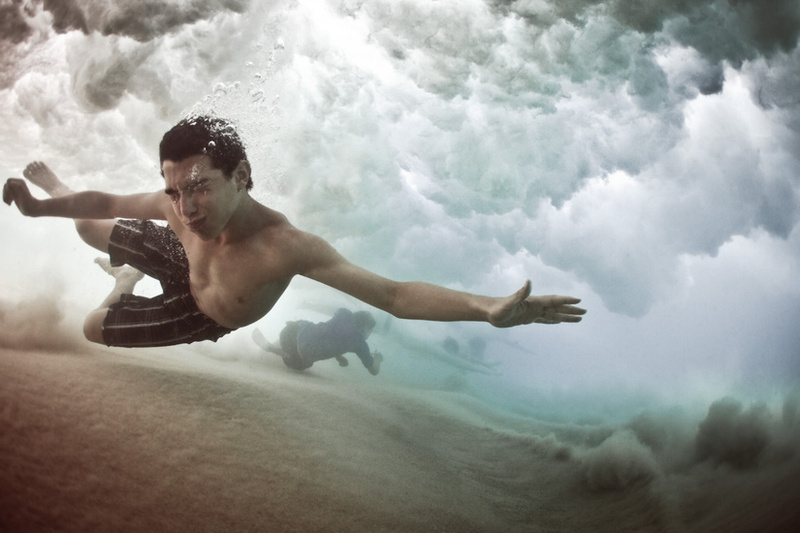 Mark’s amazing underwater photographs have been well recognized around the world making him as one of the most unique surf photographers out there. “Surf photography’s been around forever, I wanted something different” Mark says. His works have appeared in publications worldwide such as The Australian, The Telegraph, The BBC, The Independent, National Geographic and Discovery Channel. Find about more of The Underwater Project on its official website. Get to know more of Mark Tipple’s amazing works through his homepage and Behance portfolio. Tell us your thoughts about this amazing project and your suggestions by commenting below.